Contrary to Gatorade’s distortion, the 1996 ACSM recommendations used 1.2 L/hour as a maximum, not a minimum value, with the caveat that a runner should only drink as much as he could tolerate. The 1996 recommendations were excessive, and the 2007 ACSM recommendations implicitly recognize that. Yet Gatorade was still not satisfied with how much hydration the 1996 guidelines recommended. If the ACSM objected to their platinum sponsor’s misrepresentation of their guidelines, I’ve found no record of it. An ethical scientific body would have spoken up. 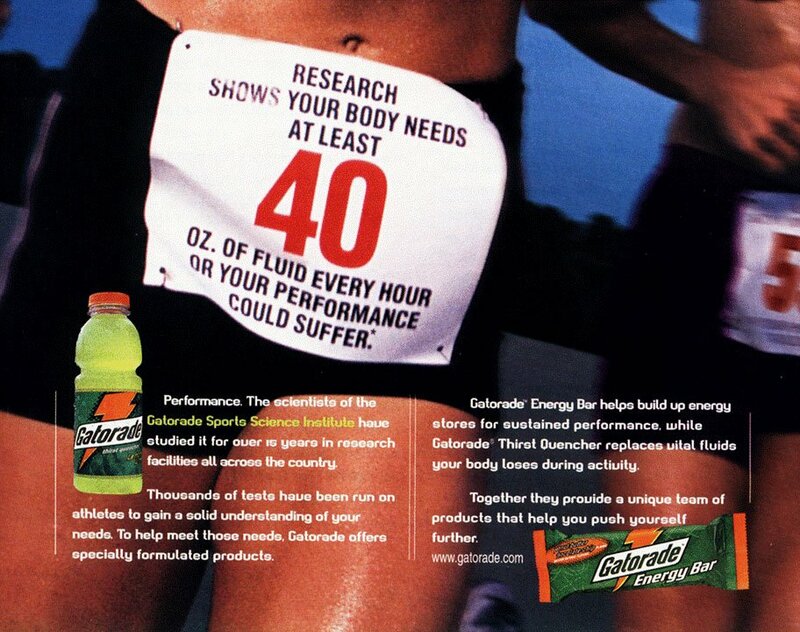 The need to remove Gatorade’s pernicious influence from exercise science could not be clearer. Perhaps the ACSM, minus Gatorade, is salvageable. Perhaps.